"Earlier today, a total of $21.4 million in new grants from NSERC’s Collaborative Research and Training Experience (CREATE) was announced at a press conference held at McGill’s Bellini Building. 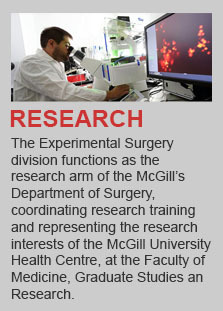 Of the total, $1.6 million will go to McGill, to fund a six-year project led by Prof. Jake Barralet, who teaches experimental surgery in the Faculties of Medicine and Dentistry, and specializes in bioceramic applications within orthopaedics." 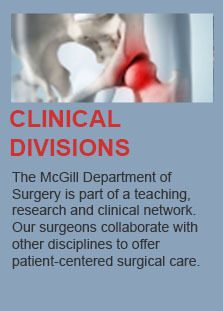 "Prominent McGill alumnus Steve Arless, BSc’71 (Chemistry), returned to his alma mater this fall as Professor of Practice in the Faculty of Medicine as part of the Department of Surgery’s new, cutting-edge, Surgical Innovation Program." 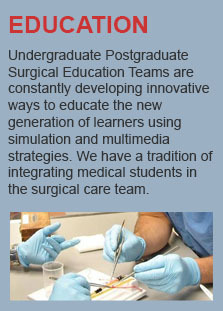 The Mission of the Department of Surgery is the pursuit of excellence in comprehensive, patient-centered surgical care, teaching, research and evaluation of technology. 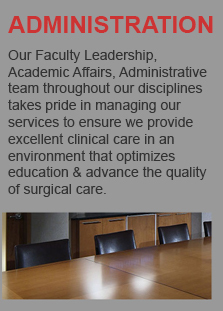 The Department’s foremost responsibility is to its patients. To fulfill its larger role, the Department must also lead in the development of new knowledge and techniques, in the transmission of these to its communities of students, and in their application for the benefit of society at large.